Another year has gone so fast, it's 23rd July today, Daniel turned 27. Happy Birthday Daniel!. He has a busy day with two performances of Privacy in New York. Maybe one of you is going to see the play today? 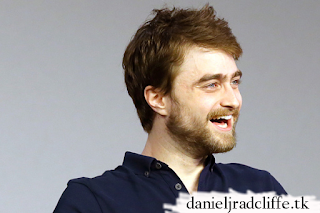 Feel free to wish him a Happy Birthday via danieljradcliffe.tk's Twitter and Facebook (I prefer a comment here on Facebook so I can keep track of them) or a comment below this post (even while we all know he won't read it). I hope he will have a great day.